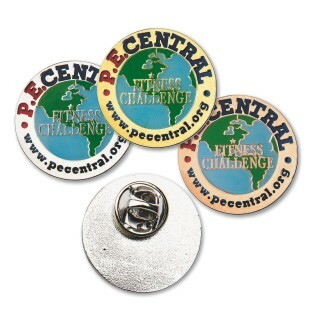 The PE Central Cooperative Skills Challenge is a series of 6 fun and challenging motor skill and cooperative tasks that if passed can earn youngsters a bronze (4/6 challenges successfully completed), silver (5/6), or gold (6/6) pin. * Free registration is available at the PE Central Cooperative Skills Challenge Web site. * Click the "Register Now" button on the front page of the Cooperative Skills Challenge Web site to become a member. * After you become a registered member, you can start the challenge any time you wish with your kids. You can have the kids "test out" at any time as well and then return to the website to order your pins from S&S Worldwide.